Great 5+ mile downwinder from the mouth of the cedar river to Enetai park on a custom 11′ x 24″ SIC Bullet using a Werner Prodigy paddle. We started out paddling through the mouth of the river then under the Renton airport overpass…. 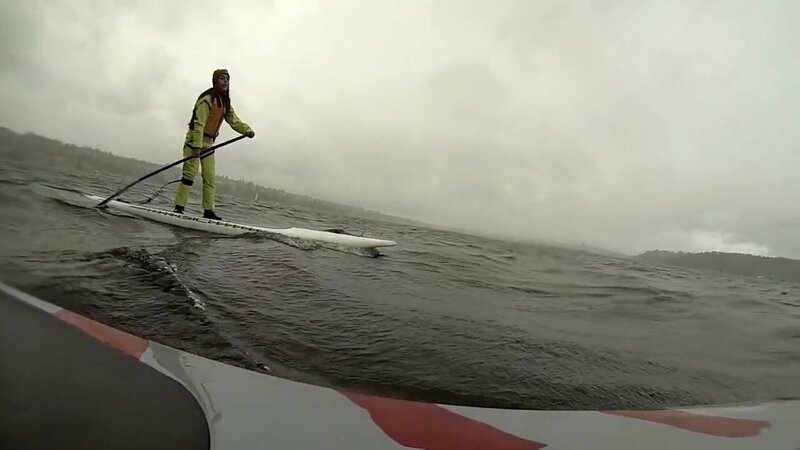 the first mile was fairly flat which is typical, then the swells started to build so she switched out to paddling on her knees… Once she started feeling comfortable catching them on here knees she graduated to standing and paddling, ….then paddling in a surf stance! She went full circle in such a short period of time. I was soo proud of her! Congratulations Luciana, you are an official ‘Downwind Warrior’!